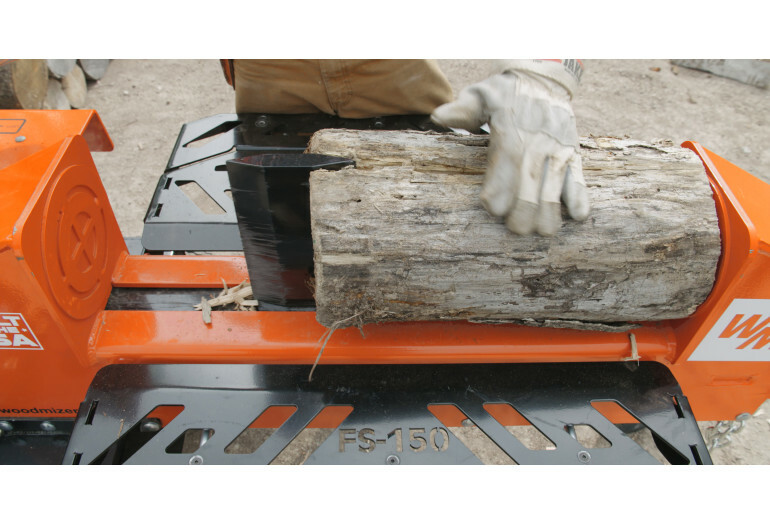 Wood-Mizer introduces the FS150 dual action 20 ton log splitter designed for homeowners and small landowners looking for an affordable and highly durable American-made log splitter. The FS150 log splitter expands the Wood-Mizer firewood processing equipment range that includes gas powered and skid steer commercial log splitter models ranging from $6,995 to $13,995 USD. Starting at $2,595 USD, the FS150 combines a 7HP Kohler gas engine with 20 tons of splitting force to split hardwood and softwood logs up to 24” long. The log table height is 30” from the ground to provide a comfortable working height for the operator and the convenient operator panel features intuitive left/right controls for the log splitting wedge. Once a log is loaded for splitting, the 8 ½” high carbon steel wedge splits wood in both left and right directions for increased speed and efficiency. This unique two-way design can double firewood production compared to traditional one-way wood splitters. During the splitting operation, two side trays catch material for additional splitting or for convenience in handling wood when stacking. Featuring a compact design for easy storage and mobility, the FS150 also includes a standard trailer with a 2” hitch that is towable at speeds up to 45 mph. The FS150 dual action log splitter comes with a 1-year warranty, ships fully assembled on a single pallet, and is backed by the same legendary service, quality and safety features shared by the entire family of Wood-Mizer wood processing equipment. 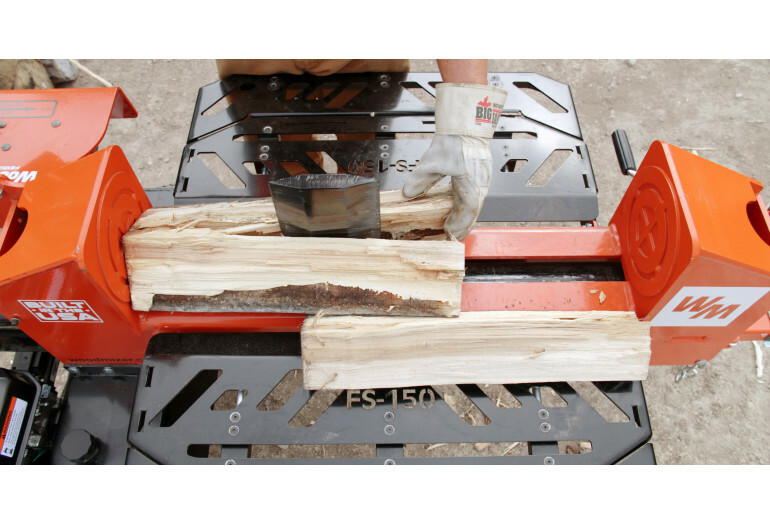 The FS150 log splitter is now available to order in North America, South America, Asia and Oceania. Since 1982, Wood-Mizer has earned the reputation as a leading wood processing equipment manufacturer with a strong legacy from its innovative sawmilling products. From forest to final form, Wood-Mizer offers an extensive line of equipment including narrowband portable and industrial sawmills, wideband sawmilling equipment, resaws, edgers, kilns, planer/moulders, firewood processing equipment, pallet recycling equipment, material handling equipment, bandsaw blades, and blade maintenance equipment for woodworking and forestry hobbyists and professionals all over the world.